Expats who have newly moved to Dubai are always confused whether to opt for a serviced apartment or a regular rental apartment on a long-term lease. Moving into a new apartment is always a hassle – after choosing a location and agreeing the price with your landlord, there’s the endless wait at home for utility connections and deliveries of furniture and other essentials. Not to mention the extra costs of subscriptions and registration. Could renting a serviced apartment offer a better, simpler way to settle down quickly? 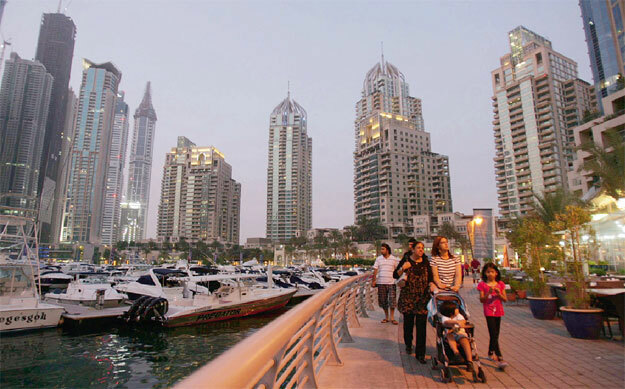 “Currently, most newcomers to Dubai check into holiday homes/serviced apartments. Most corporate HR managers have realised the benefits of putting up their new executives till they can figure out which part of Dubai they want to live in. Holiday homes are becoming extremely popular due to the vast selection of locations and availability of units at competitive prices,” says Sanjay Chimnani, managing director, Raine & Horne Dubai. Serviced apartments are a great way for newcomers to get settled in Dubai as they provide more flexibility to the tenant – fully furnished and monthly rent payments also include utility bills and cleaning services. The short-term contracts do not financially commit new residents for a full year unlike long-term rentals. This is appealing to those on probation and waiting for stability. “However, we have noticed that Dubai residents opt to live within close proximity to their office in the long run and there has been a growing demand for bona fide mixed-use developments and adoption of the live-work-play philosophy for millennials. Jumeirah Lakes Towers, The Greens and The Views have displayed higher resistance to further price drops and are marking a very gradual recovery due to their central locations and proximity to economic clusters,” explains David Godchaux, CEO of Core Savills. The advantages of serviced apartments are aplenty: they offer the option of monthly rent payment (no financial commitment for a full year), flexibility to leave at shorter notice with no penalties for early cancellation of contract, fully furnished, services are included such as cleaning, valet, room service and more, utility bills are included in the rent, no registration fees and the option of weekly leasing is also available. On the flip side, serviced apartments never feel like home and are more expensive than a regular apartment. Take note: you may be held responsible for damaged furniture. “Typically, serviced apartments are approximately Dh10,000 more expensive than normal long-term one-bedroom apartments and up to Dh20,000 costlier than regular two-bedroom units,” observes Mario Volpi, chief sales officer, Kensington Exclusive Properties. “The other disadvantage is that the landlord can request the tenant to vacate at short notice compared to normal long-term contracts,” warns Volpi. Serviced apartments also come in handy for those leaving the UAE for good. “If you are leaving, consider getting out of a rental well before your last day and go into a serviced apartment. That way, you can close everything, go through the arduous processes that always take much longer than expected and place yourself in a serviced apartment for the last month or so. That way, you can send furniture home, close Dewa, get deposits back and be living in comfort for a monthly fee, knowing that when your last day comes around, all you need to do is just pack a suitcase and close the door behind you,” suggests Paul Stewart-Smith, chief operating officer, Propertyfinder Group. The most popular areas for serviced apartments are the Palm Jumeirah, Downtown Dubai and Dubai Marina. Those operated by hospitality groups and within close proximity to a mall are also popular. “The most expensive tend to be The Address apartments but there are others on the Palm too. The cheaper serviced apartments can be found in Jumeirah Village Circle, Sports City and Dubailand,” points out Volpi. “Serviced apartments on the Palm Jumeirah trunk witnesses relatively higher traction from end-user urban occupiers due to better access to social infrastructure and Sheikh Zayed Road. Premium serviced apartments in Jumeirah Village Circle are located in a tertiary location which is yet to be fully developed and don’t enjoy benefits or access as other core areas do,” adds Godchaux. Serviced apartments typically attract short-term tourists, businesspeople looking for a short stay and long-term residents. “Single CEOs and executives on a one project basis opt for such units,” Godchaux concludes.